Stevie Nicks has certainly had an exciting career. 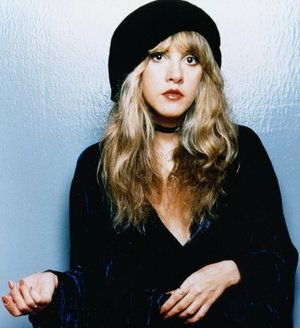 This gifted songbird flew to early fame with Fleetwood Mac, a gig she still enjoys whenever the band gets together. On her own, she launched a solo career that rivals the popularity of The Mac in almost every sense. With awesome platinum albums like Bella Donna, Wild Heart, and Rock A Little, Stevie crafted her own place in pop history by making the kind of music that only she can make. After The Glitter Fades is my favorite track from her Bella Donna album. With a decidedly country swing to it, the song is autobiographical in nature with lyrics that really capture the essence of the performer she was as a young woman. The video was a rousing look inside her recording session for this song. It’s a gem in itself. Still as popular today as she ever was, Stevie tours on her own and with The Mac when it regroups every few years. She can still sell out concert halls around the globe and her adoring audience sings along with her on most every song. After The Glitter Fades is a great example of why she has such a devoted following. Stevie Nicks is one of a kind.